Name that Shakespeare play! How many characters and scenes can you identify? Using examples from Austen to Orwell and beyond, we'll show you how to collect your ideas and communicate effectively with your audience. Writing a long essay for class will be just as straightforward as texting your friends. Conquer your fear of maths and discover a new appreciation of how this pure science has evolved to help people solve problems. Learn more about our maths classes. 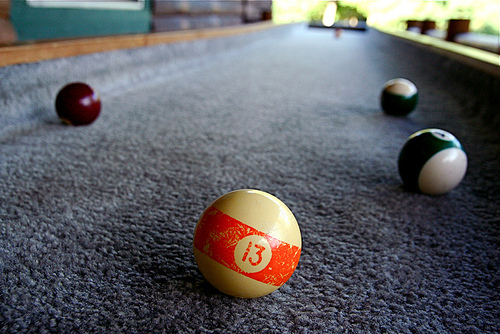 Physics can accurately predict which pocket the billiard balls will go in. How do cells replicate their DNA? How do you balance redox reactions? Why do you lose your balance if you lean forward when your heels are against a wall? High-stakes exams are inevitable obstacles in every student's career. We're here to help you become masters at applying the concepts and using the tools you've learned. With the tricks we teach you and plenty of practice exams, you'll get the score you need to move on to the next step of your education. Multiple-choice answer sheet: a staple of exams.